Making Small Talk provides a variety of programs and services that ensure the successful growth and development of children and teens with special needs. The programs Making Small Talk offers support students with ASD, ADHD and other Learning Disabilities. Some of our programs include Social Skills, IBI, and a unique school program for children 3 years old and up. We support all our clients to reach their full potential and work with them throughout their growth and development in independence, advocacy skills, and self-confidence. We work alongside your child, teaching them the skills they require to have a positive and successful learning experience. Your child will be encouraged to explore their natural environment with like-minded peers. We provide a variety of programs and services that ensure the successful growth and development of children and adults with special needs. We support them to reach their full potential and work with them to grow and develop in independence, advocacy, and self-confidence. Making Small Talk started off as York Autism Centre with Linda Hurren running Social Skills classes and providing some private IBI services in King City in 2007. As her reputation grew in the community so did Making Small Talk. The company remained in King City for 5 years as it grew to include new services and new staff members. With the business growing it was time for a move to a bigger location, so in the fall of 2013 Making Small Talk relocated to Vandorf. This new location offered Making Small Talk a larger space to expand and add new programs. With all of our supportive families following along, the new building became home. 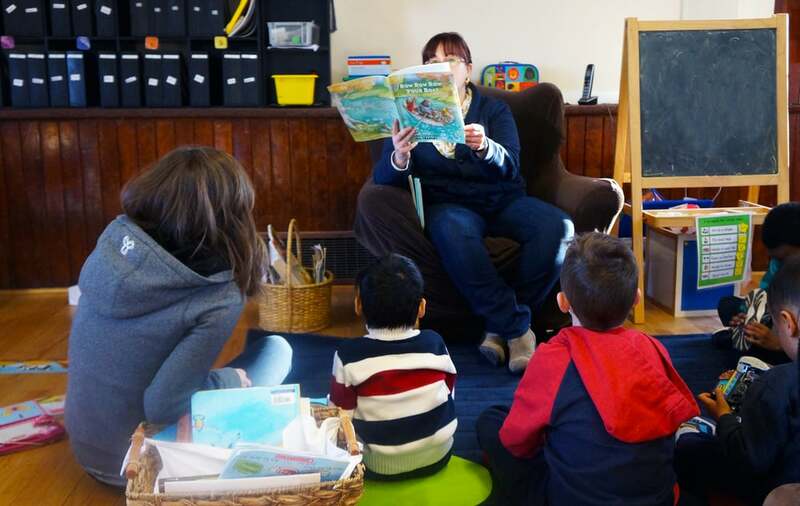 Making Small Talk was able to expand many new programs and launch the School Readiness Program. 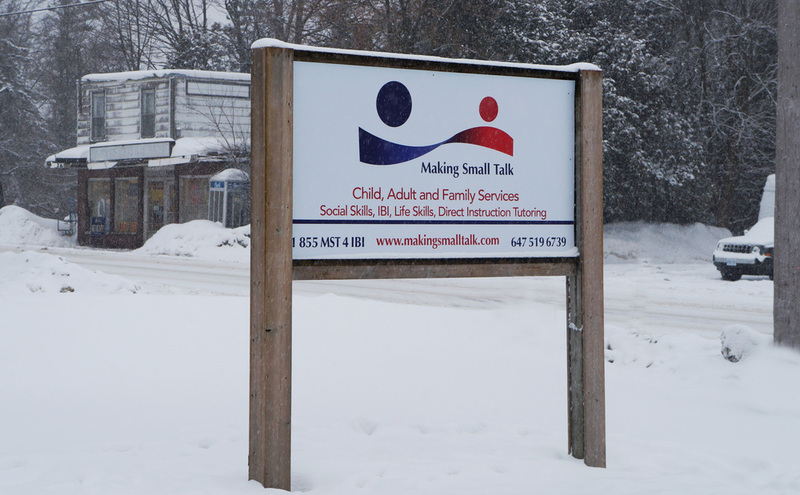 Making Small Talk now offers services for Children, Young Adults, and Families throughout York Region. Making Small Talk provides a variety of programs and services that ensure the successful growth and development of children and adults with special needs. We offer programs to support students with ASD, ADHD and other Learning Disabilities. We offer a range of programs: Social Skills, IBI, School Readiness and Square Peg Project. Making Small Talk offers Social Skills classes for children 3 to 25 years old. In each of the programs we follow a Social Thinking Curriculum. We work alongside the child teaching how to understand the unstated rules in social situations. Teaching Verbal and Non-verbal communication to assist the child in developing their social language in their home, school and community environments. Making Small Talk provides Behaviour Consultancy services to all our clients. 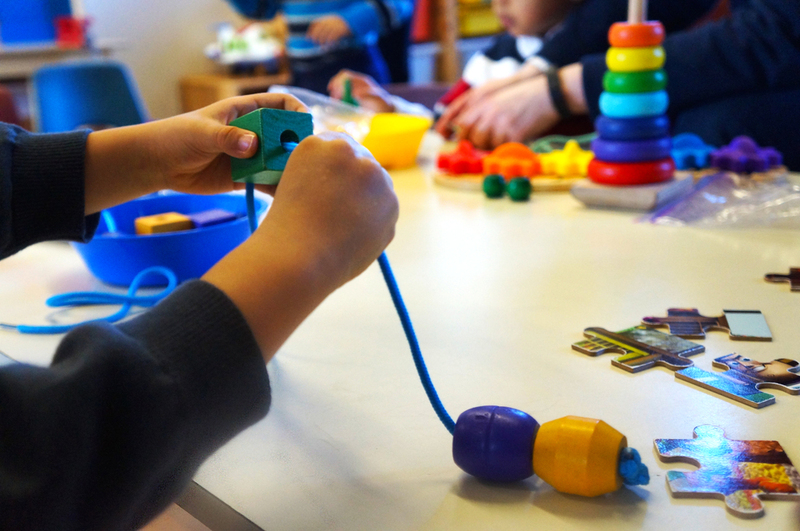 We have a Board Certified Behaviour Analyst (BCBA) candidate consultant who assesses behaviours, writes and implements protocols while teaching and supporting parents. Making Small Talk offers a wide variety of parent support programs. Some of these programs include our MST@home behaviour support program. Making Small Talk wants to support our families in all environments from our centre to the child’s school and in their home. These programs have been developed to offer maximum benefit for an affordable cost to families. or to make an appointment to visit the facilities and meet the staff.